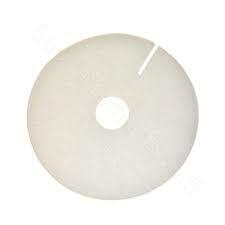 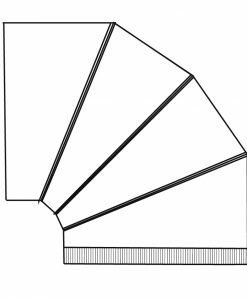 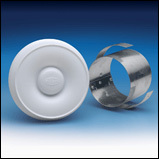 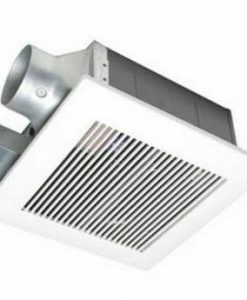 deal for use with the Panasonic FV 04VE1, this exterior wall cap is an attractive and efficient way to provide a channel for both supply and exhaust air with a single 5 1/2″ penetration. 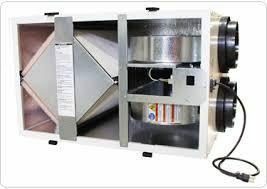 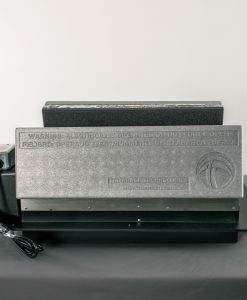 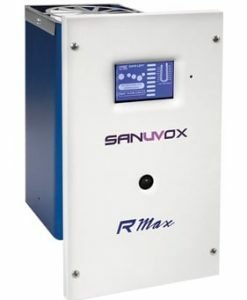 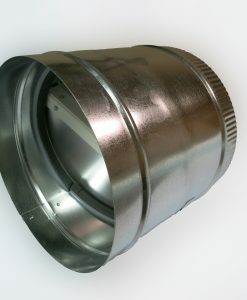 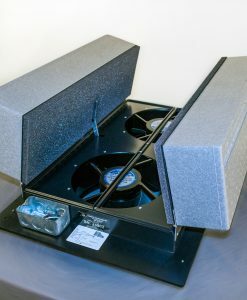 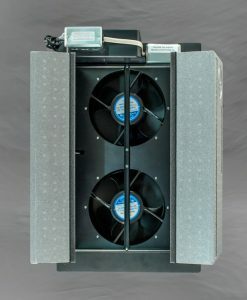 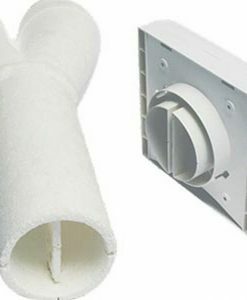 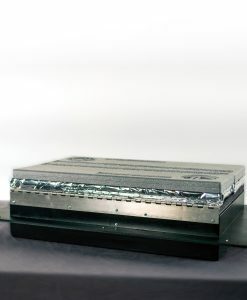 The interior Y-adaptor connects to the 4″ diameter supply and exhaust ducts, transitioning to a single wall cap. 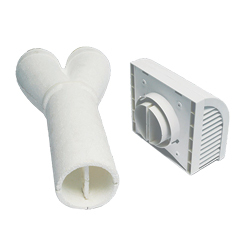 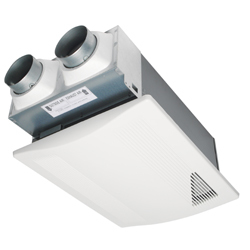 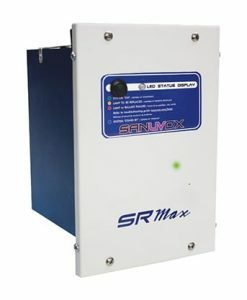 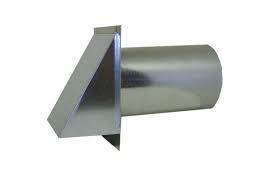 Both the interior Y-adaptor and external wall cap divide into two chambers to separate supply and exhaust air flow. 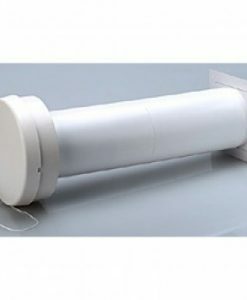 The wall cap is polypropylene, and can be painted.